Kuldeep Yadav and Yuzvendra Chahal continued their blistering form in the third ODI in Cape Town as the duo’s 8-wicket haul wrapped up South Africa for 179 runs in the second innings. 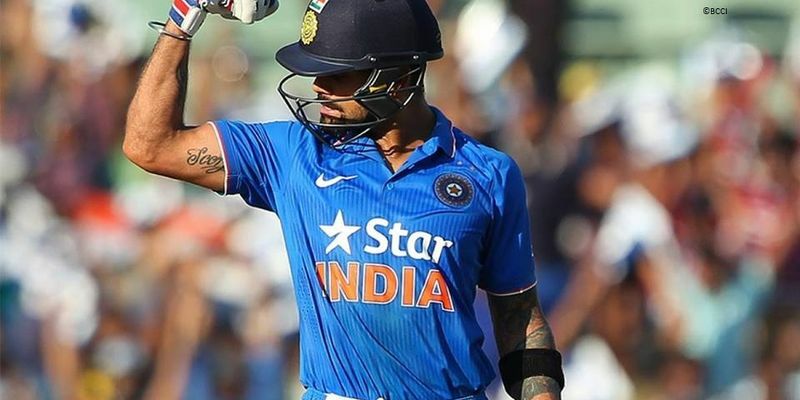 Earlier, India managed to post a massive target of 304 banking after Virat Kohli’s unbeaten 160-run knock. Brief Scores: India 303/6 (Virat Kohli 160*, Shikhar Dhawan 76; Jean Paul Duminy 2/60, Chris Morris 1/45) beat South Africa 179/10 (JP Duminy 51, Aiden Markram 32; Yuzvendra Chahal 4/46, Kuldeep Yadav 4/23) by 124 runs. South Africa opted to field first after their batting order was reduced to the bones following Quinton de Kock’s addition to the injury list alongside AB de Villiers and Faf du Plessis, as they were forced to hand debuts to Lungi Ndidi and Heinrich Klaasen. India kept their squad unchanged after their huge success in the previous two ODIs. Rohit Sharma’s poor form on the South African tour continued on Wednesday as the explosive opener was caught behind on Kagiso Rabada’s delivery by debutant wicketkeeper Heinrich Klaasen, in the very first over. Virat Kohli came in next with India down by a wicket without any run on the board. Alongside Shikhar Dhawan, the skipper went on to forge a crucial partnership of 140 runs that ranged over the next 24 overs. The southpaw brought up his 25th ODI fifty in the process that included 12 boundaries as Kohli brought up his 46th ODI fifty. Dhawan’s innings came to an end when he was on 76 as Aiden Markram showed lightning quick reflexes to leap towards his left from short mid-wicket, when the batsman tried to play across the line on JP Duminy’s delivery. Ajinkya Rahane came in next to replicate his first ODI pairing with a well-settled Kohli as India ended the half-way mark at 150/2. Rahane, who has been in brilliant form in the tour since breaking into the squad in the third Test, soon returned to the pavillion after scoring 11 runs as Duminy struck again four overs later. With spinners looking dangerous on the Newlands track, India decided to send Hardik Pandya next. But, the pinch hitter couldn’t make any difference either as he got out after scoring just 14 runs reducing India to 188-4 in 33 overs. An experienced MS Dhoni came to the crease amidst the sudden collapse and propelled India to 228 over the next nine overs, making a 40-run partnership with Kohli. The skipper brought up his 34th ODI in the process looking more settled with every ball, before Dhoni gave away his wicket in a googly by Imran Tahir. It was all Virat Kohli show from there, who brought up his fifty in the next 37 balls after reaching his century and propelled India to 300. While Kedar Jadhav came and went on the other end after scoring just one run, Bhuvneshwar Kumar stood till the very end as India ended the innings on 303/6. The Proteas had created headlines ahead of the Cape Town ODI for their intense net sessions playing spinners in order to deal with India’s wrist spin, which had robbed them in the first two ODIs. However, all that amounted to nothing as their batting order crumbled at the face of Yuzvendra Chahal and Kuldeep Yadav yet again. The onslaught started early when Jasprit Bumrah dismissed Hashim Amla with his first bowl of the day, reducing South Africa to 1/1 in the second over itself. After skipper Markram and Duminy forged a crucial 78-run partnership to provide the proper foundation for the team to chase 304, Kuldeep shattered it by bamboozling Markram with a brilliant delivery that led Dhoni to bring up his 400 ODI dismissal from behind the stumps. It was all that was needed to trigger the suicidal collapse, which has been so familiar with SA this in this series, as the inexperienced Klassen and the well-settled Duminy soon followed suit unable to understand Chahal’s short length deliveries. And after a decent start to the innings, the hosts were suddenly reduced to 102/4. With almost half of their team already back in the dugout, South Africa’s slim glimmer of hope was David Miller and Chris Morris. However, Miller could add only 25 more runs to the total before losing his wicket cheaply to a shortish delivery by Bumrah as MS Dhoni didn’t make any mistake behind the wicket. With the team reduced to 129/5, Morris came into steady the mast alongside Khaya Zondo. However, SA’s last hope could score only 14 runs before Kuldeep caught him plumb on the front leg almost single handedly ending South Africa’s last chance of making an impact in the series. That was pretty much it, as Zondo followed four balls later without adding any more runs. Andile Phehlukwayo, Rabada, Tahir and Ngidi - all returned to the pavillion within the next 29 runs as India took an unassailable 3-0 lead in the six-match ODI series.